The Karen Fitzgerald Fund was established by friends and colleagues of Karen Fitzgerald to continue her legacy as a champion of children’s safety and rights. 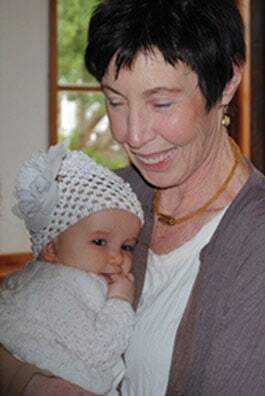 A Dominican Sister for more than 40 years, and with a background as a teacher, school principal and clinical psychologist, Karen was a deeply spiritual person who dedicated her life to helping others. The inaugural director of the Child Protection Service at Flinders Medical Centre (FMC) from 1989 until her retirement in November 2011, Karen was considered a pioneer in the protection of children who had been abused and neglected and was internationally recognised in this field. She passed away in 2012. The Karen Fitzgerald Fund has generously partnered with Flinders Foundation to raise funds for projects which support disadvantaged children - particularly those experiencing abuse and neglect. Among their key priorities is supporting the hundreds of vulnerable, neglected and abused children who visit the FMC Child Protection Service each year. The group also assist children, young people and their families to access resources and experiences which build confidence and abilities which they may not otherwise have access.